What a sweet stitchery, what better way to spend a day then listen to rain on the roof. what a lovely stitchery... good luck with your NJ centre block! Yaay for the rain and some inside time! 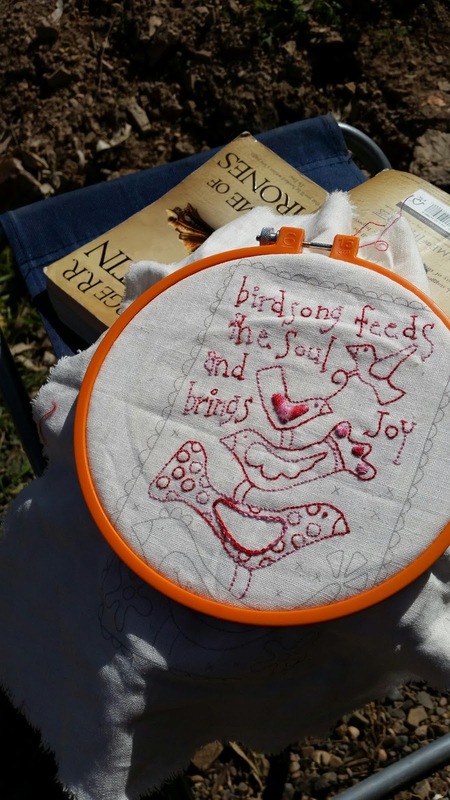 Your stitchery is gorgeous - and so true! - also really like the basket you made for FNSI, a good idea to get beginners hooked! !